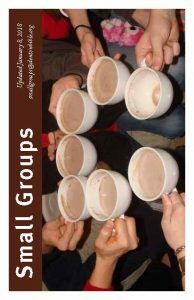 The goal of Denton Bible Church small groups is to provide opportunities for people to come together in their communities and grow together in their walk with God. The Small Groups Ministry encourages men and women to grow in the knowledge of the Lord, to have fun and fellowship within God’s family, and to practically apply biblical truth into everyday life. 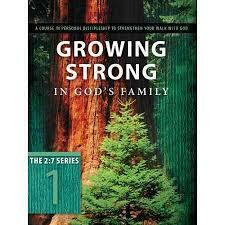 Please contact us if you have a desire to grow together with your brothers and sisters in Christ. If you’re looking to get connected at Denton Bible, you can use our small groups directory or search for groups on The City. You can also stop by either of our kiosks located at Starting Point and at the Adult Ministries tables on Sundays to talk with a Small Groups staff member. Click on the picture to the left to get connected with the various small groups within Denton Bible. These groups are divided into categories (Men, Women, SeniorLife, Young Adults, College Students, All Adults) and are grouped by ZIP code. Simply click on the ZIP code you’re interested in searching, and you’ll be taken directly to the groups in that area. When you find a group that interests you, click on the leader’s e-mail address to open an e-mail window where you can request additional information. Click on the picture to the left to search for and contact our small groups directly if you’ve already joined The City. (If not, you can go here to sign up!) Simply enter the ZIP code that you’re looking for in the search box and you’ll see a list of groups in that area. You can also refine your search to narrow it to specific days, times, or categories. We are all called to make disciples and the 2:7 class will equip you to do so. The class consists of three 11-week semesters with a 5-week break between each semester, and meets from 7-9 pm in the Students Ministry Center on Thursday nights. During each semester, you’ll meet at a table with 5-6 other participants and a leader to discover the joys of Bible study, prayer, sharing your testimony, and fellowship. Childcare is available.